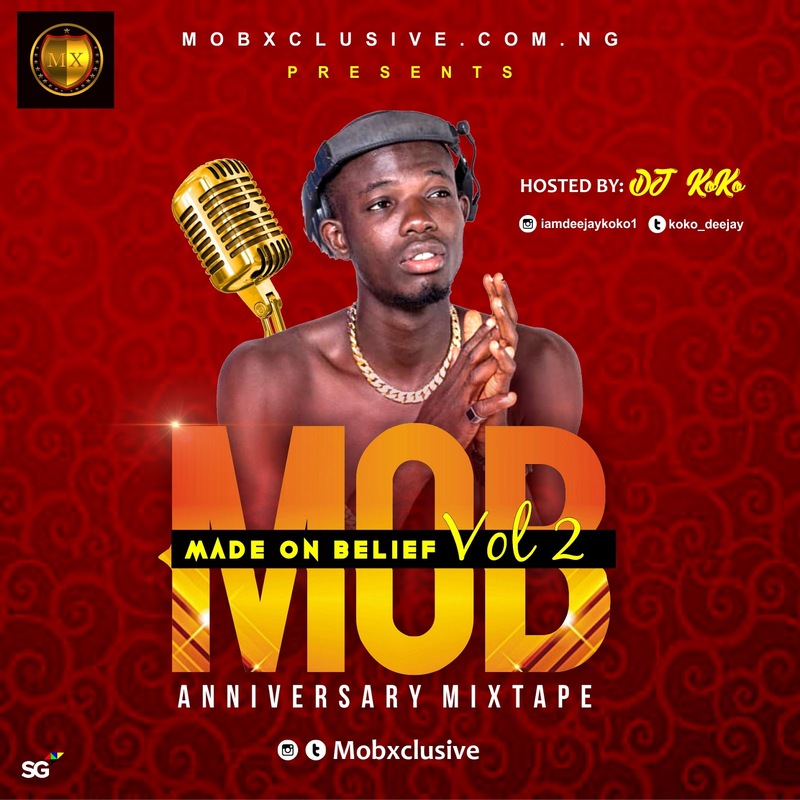 MOB Media Group X Mobxclusive.com.ng Proudly presents its Annual Mixtape Tagged Made On Belief (MOB) Vol2,The Mixtape is also Themed to be an Anniversary Mixtape, Celebrating three (3) Years Independently Online. It features A-list Artists all over the country with trending smash hits. 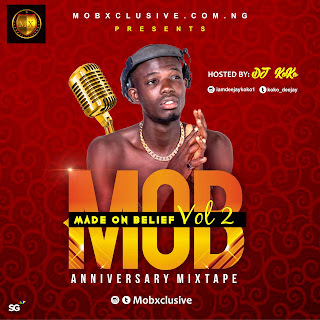 The Mixtape also has Guest appearance songs by Awka's Fastest Rising Acts such as; Will - Kwenu ft Zoro, EL-Puppa - Amebo And Mars - Waka. This mix is sure to top your playlist once downloaded.